In cocktail shaker filled with ice, add gin, liqueur and juices. Cover; shake until well mixed. Strain into martini glass; top off with club soda. The use of fresh fruit juice is the secret to making these refreshing skinny cocktails. Try all 3 variations—clementine, pink grapefruit and pomegranate. Add some clever sparkle to your next party. 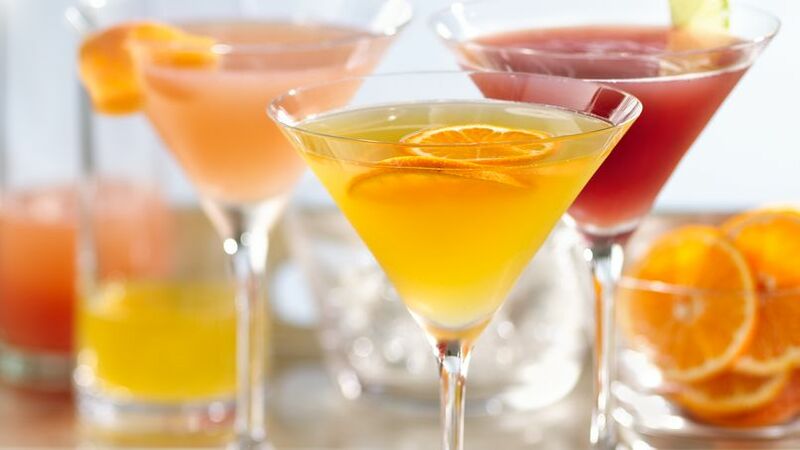 Enjoy these natural, light martinis made with fresh juice, high-quality liquor, and a splash of club soda. Lower calorie cocktails never tasted, or looked, so sweet. Cheers!